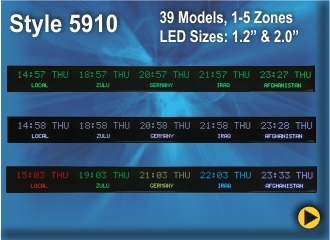 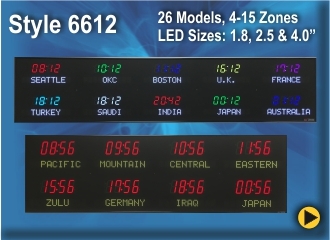 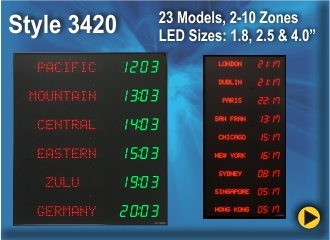 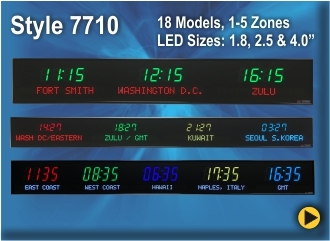 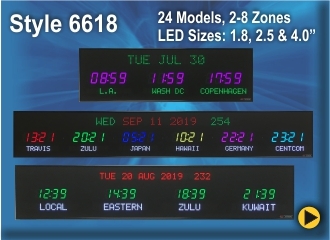 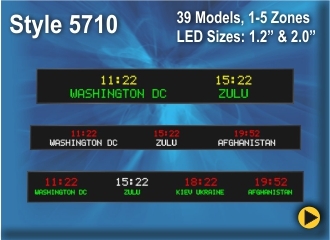 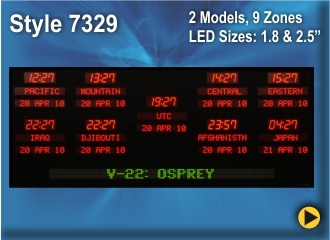 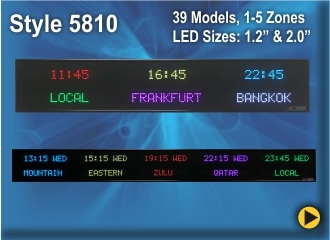 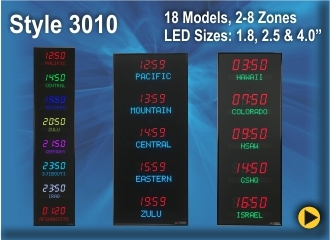 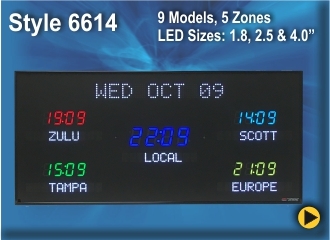 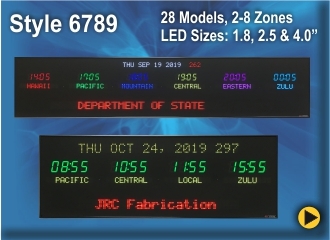 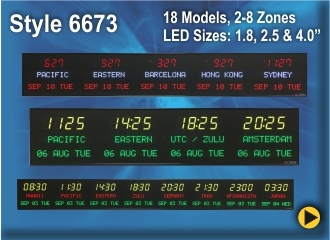 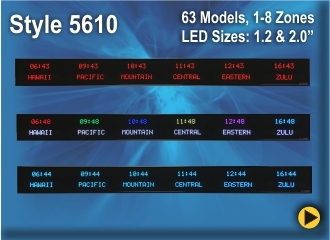 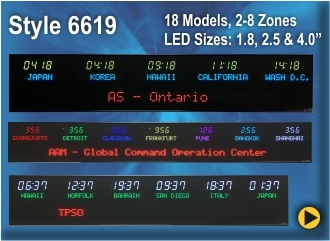 USER CHANGEABLE COLOR is now standard on all BRG LED digital clocks. 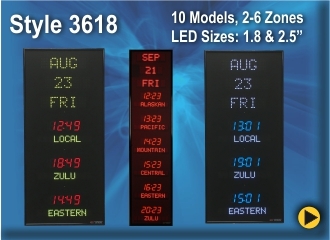 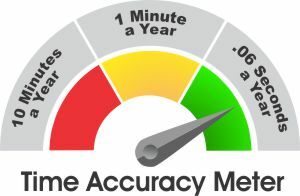 BRG Time Zone Clocks are accurate for life without the need for manual or external time updates. 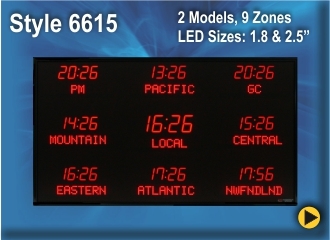 A GUI touch screen IR remote control is available to ease configuration. 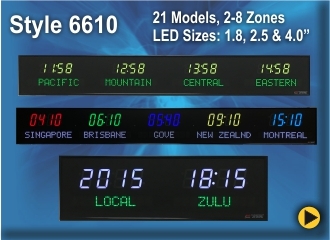 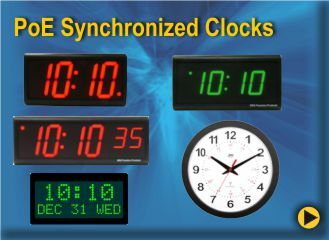 BRG Time Zone Clock Style 6610 is our most popular Programmable Time Zone Clock. 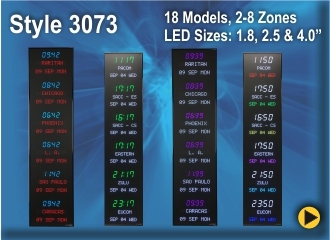 For a Vertical Display Scroll Down to the 3000 Style Series. 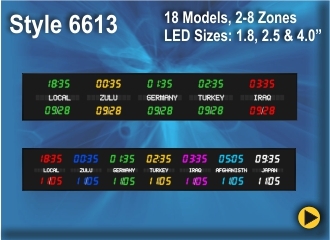 In need of a replacement IR Remote? 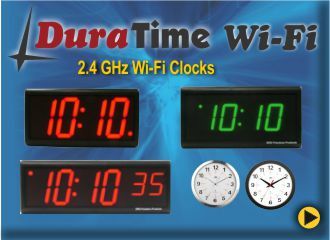 Purchase one online today.